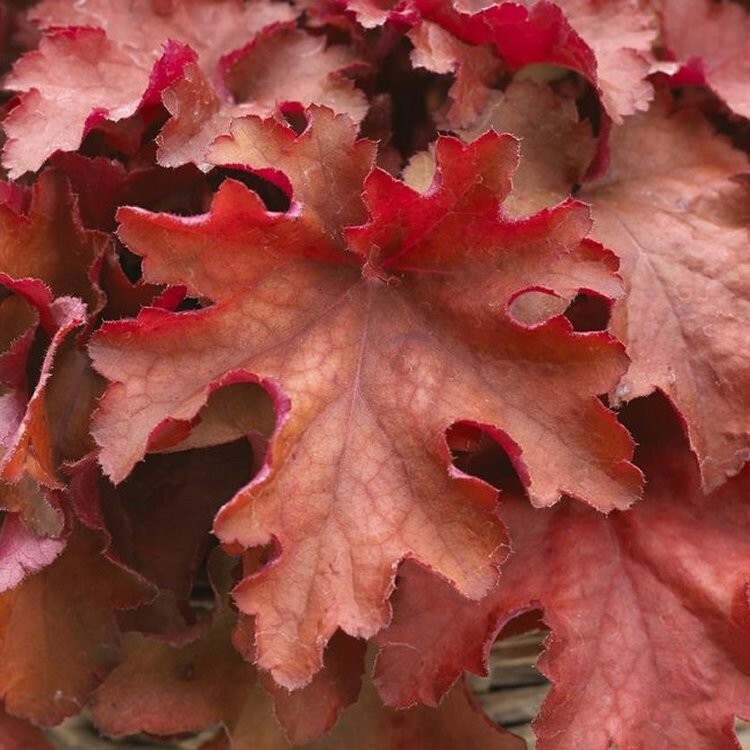 'Boysenberry' is a compact, mound-forming, semi-evergreen perennial Heuchera variety bearing rounded, ruffled, lobed, reddish-brown to orange-red leaves. The undersides of the foliage are a contrasting reddish-pink beneath, and from late spring in to summer, slender, upright stems carry panicles of small, bell-shaped, white flowers. 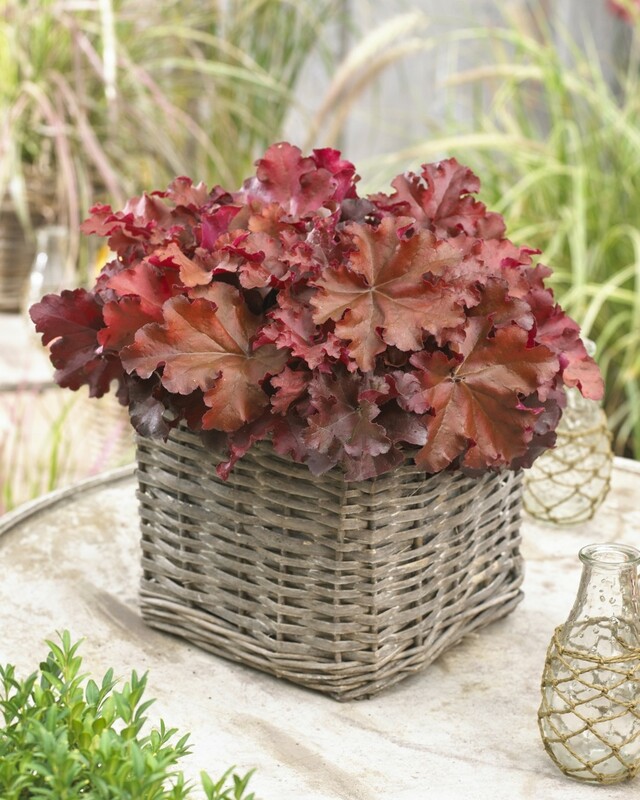 Heuchera Boysenberry is perfect in beds and borders or garden planters, it looks especially good near water, and can be planted as ground cover on slopes and banks too. Why not try it combined with other varities to create a carpeting tapestry? 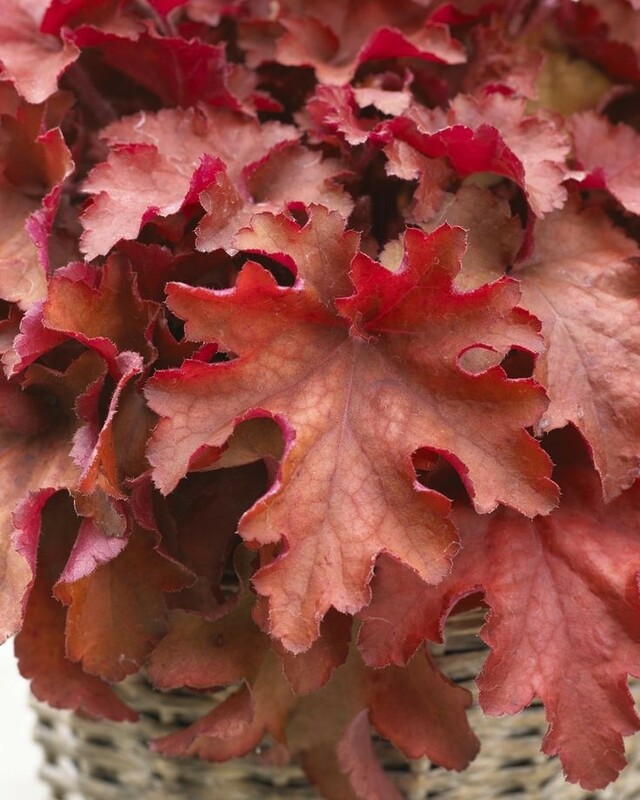 Heuchera grow best in fertile, moist but well-drained soil in full sun or partial shade, they are drought tolerant once established which is very useful in hot summers. Supplied in approx 2 litre containers.